At Mahi Yoga we aim for our students to learn through experience which makes our Yin Yoga course highly practical and experiential. The Yin Yoga Teacher Training is a short intensive course that combines everything Yin in an immersion style training. You can expect to leave with a broad foundational knowledge of both the theory and teaching of Yin Yoga. As well as feeling absolutely regenerated mentally and physically from this wonderful practice. Yin Yoga is a practice which embodies the opposite of a usual active (yang) practice. Yang means activation, dynamic movement, fire, masculine energy and power. Yin means quietness, stillness, introspection, feminine energy and softness. Yin yoga is slow and soft style of yoga. The asanas or yoga poses are held for longer periods of time than a usual Yoga practice. So, a Yin Yoga practice is one that pays attention to holding poses in stillness for extended periods of time and of focusing inward, observing the fluctuations of the mind. This itself can help practitioners to achieve meditative states and often aids those who struggle to meditate to access its benefits. What is the theory behind Yin Yoga? Yin Yoga is a relatively new style of Yoga. It is a combination of Yoga poses and Chinese Meridian theory. TCM (Traditional Chinese Medicine), inspires the theory behind this meditative style of Yoga. This approach aims in balancing the 5 Elements: Water, Wood, Fire, Earth and Metal. Therefore, Yin Yoga, poses and sequences focus on meridians and acupressure points targeting and balancing our organs and energies. Meridians are lines of energy which run through the body in different places. Both Acupressure and Acupuncture therapists use these Meridian lines when treating their patients. These lines of energy can become blocked and stagnant and the various yoga poses put together in a Yin Yoga sequence work on opening or unblocking these lines of energy. For example a Yin Yoga pose might work on opening the shoulder joint and releasing energy from the Lung meridian which runs through. Why Should You Choose the Yin Yoga Teacher Training? The Yin Yoga Teacher Training is a total yoga immersion experience and students comment that our courses have been life changing and that they experienced holistic and broad yoga grounding. 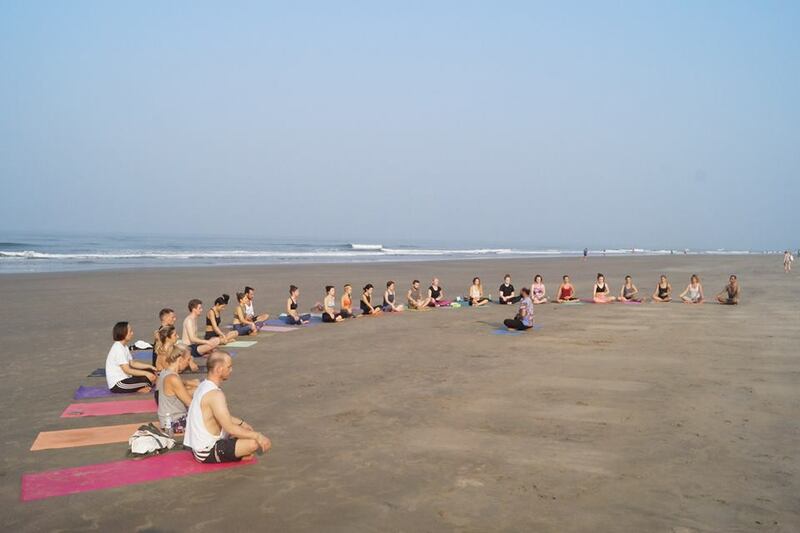 We provide yin yoga training in amazing locations in India and they are perfect for learning yoga amid nature and yogic way of life; study yoga at its roots! We provide high quality rooms and serve yogic vegetarian meals. The physical effects of Yin Yoga are also different than a regular yoga practice. Yin Yoga works by releasing tension in the connective tissues of the body. Working into those tight areas of Fascia (our web of connective tissues) and the joints. Forthose people who have very tight stiff areas in the body this Yin Yoga practice can really help to open the body in ways that a regular yoga practice might not. In these hard to access areas a yoga practitioner might have stored unreleased emotions, fears and worries. By holding still and releasing the tension for the body as well as the mind a practitioner of Yin Yoga can witness big changes in their emotional and mental state as well as their physical one. Who is the Yin Yoga Teacher Training Course Suitable for? We recommend the Yin Yoga Teacher Training for practitioners of Yoga who want to expand their knowledge deeper into the Yin Yoga side of practice. Those who want to experience the rejuvenating effects of a softer Yoga practice, whilst also gaining a thorough understanding of the theory behind the Yin Yoga practice. This training is open to both practitioners of Yoga and qualified Yoga Teachers. Experienced yogis and beginners alike will gain a lot from the knowledge this course delivers. But we do recommend that applicants have a minimum of 6 months practice before the start of the course and that they are physically fit, so that they are prepared for the four hours daily yoga practice. All applications will be considered on an individual basis. If you are unsure about anything at all please feel free to contact us directly. 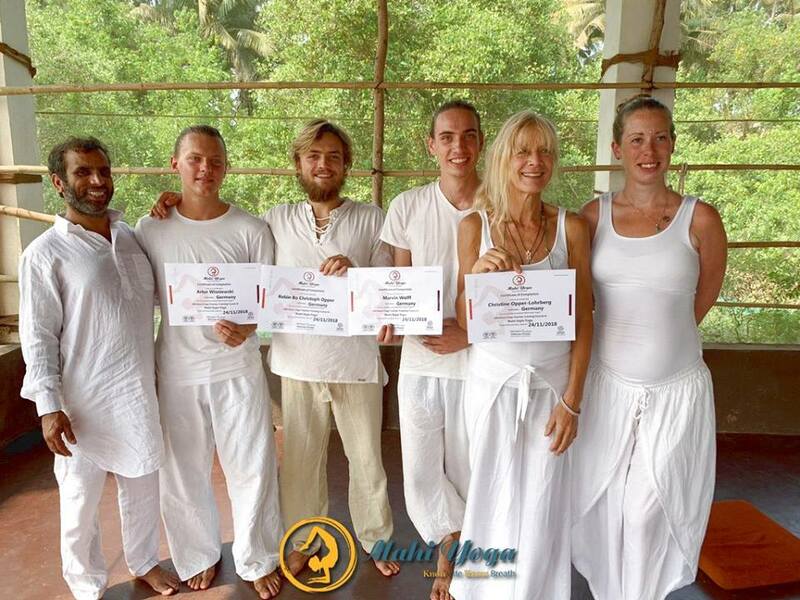 What accreditation do I receive after completion of the Yin Yoga Teacher Training? Our 50 hour Yin Yoga Teacher Training is accredited with Yoga Alliance. This certification is valid worldwide. 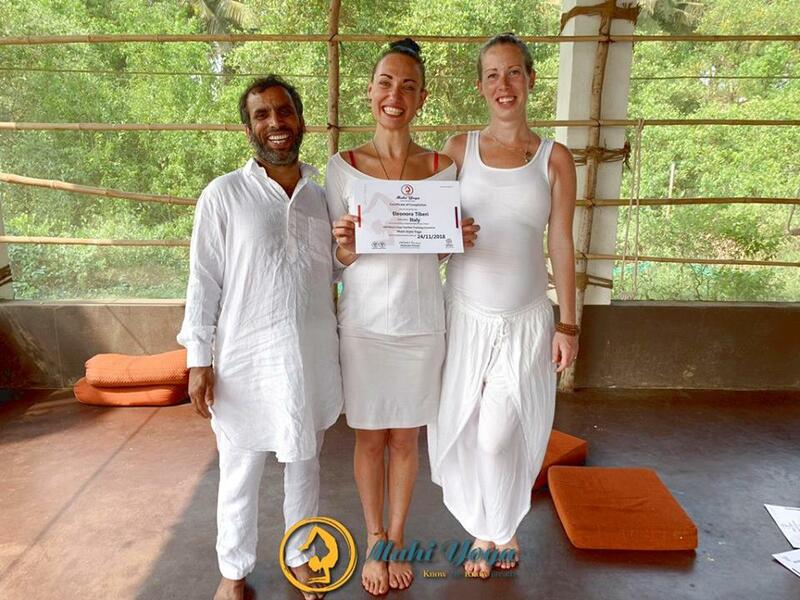 On successful completion of the Yin Yoga Teacher Training course; we award already qualified Yoga Teachers 50 hours Certification in Yin Yoga Teaching from Mahi Yoga.These 50 hours count as 50 CPD points towards their Continued Professional Teacher Development with Yoga Alliance. For unqualified Yoga Practitioners. We offer a Certificate of Completion in Yin Yoga Teacher Trainingfrom Mahi Yoga. This Yin Yoga Teacher Training Course can also be taken as a module of 50 hours, which will count as part of our 300 or 500 hour Yoga Teacher Training courses. This must be specified before enrolling on the course, contact us directly for more information. *Schedule is subject to changes. Why Should You Choose Yin Yoga Teacher Training Course with Mahi Yoga? Our courses are high quality and renowned worldwide. Our Teachers are all experienced Yoga Professionals. Experience Yin Yoga in a variety of Exotic Locations. Accommodation, food, manual and course included in the price. Meet great people and kindred souls form all over the world. We are a registered school with Yoga Alliance and all our courses are accredited.